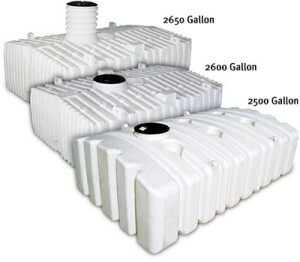 AllTanksCom LLC sells a huge selection of quality holding tanks to meet your plastic storage tank needs. We stock a large quantity of above ground and below ground holding tanks, designed as a rotational molded polyethylene product. The tanks come with a 16″ access, and we have connections up to a 4″ available. The ribs and integral columns function to create strength. These features allow dirt to compact into the spaces, creating a corrugated design, which removes the potential crushing effect of below grade earth compression. *Tank includes molded on extension.